Amana makes a wide variety of consumer goods designed to make our homes more comfortable and functional. The Amana Model ASX16 16 SEER central air conditioner provides a good blend of affordability and excellent efficiency. 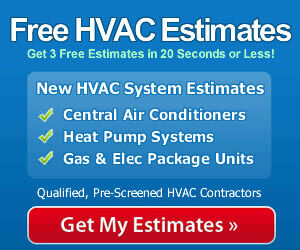 It’s a highly rated unit that offers what may be the best warranty in the HVAC industry. It’s a top choice in all areas, though those in warmer climates will enjoy the greatest cost savings in terms of lowered energy bills. Jared in Knoxville, TN sent an HVAC prices submission in which he shares the Amana model ASX16 16 SEER central air conditioner price he paid. “I’m from Duluth, MN and took a job here last year. I bought my first home outside Knoxville in the fall. The house has an older central air conditioner and I decided I wasn’t going to wait for it to break in the middle of July or something. Last year was plenty hot and being from northern Minnesota, it was quite a change. Plus, I work nights and sleep days and it’s got to be comfortable. I got central air conditioner prices from 3 contractors and came away most impressed with the Amana dealer as well as the product he recommended, the Amana ASX16 16 SEER a/c. The crew he sent out to the house was not as impressive, and they kept talking loud even after I told them I was trying to sleep. I heard the one guy say I should get a job rather than sleep all day. I held my tongue on that one. They got it done and tested it, then showed me how to program the thermostat and other odds and ends. They left a survey card behind as to their customer service, etc., and it was a pleasure to fill that out! I wasn’t too hard on them though. Installation including disposing of the old a/c and running new lines: $2,390. 16 SEER performance is Energy Star rated. May reduce cooling bills by 40% or more in most homes. Sound-Control top and dense foam compressor blanket to reduce noise. Louvered coil guard and rugged steel cabinet offer protection and excellent air flow. Lifetime limited replacement warranty: If the condenser fails the original owner in the original home, a new condensing unit will be provided. 10-year limited warranty on all other parts. The best way to get the greatest return on your investment in terms of energy efficiency and longevity of the Amana ASX16 air conditioner is to hire a professional, qualified contractor to install it. They have the specialized skills to do the job correctly, as well as some specialized tools and testing equipment that most DIY enthusiasts and handymen don’t have. Improper installation can also void a warranty, leaving you without a working air conditioner and no recourse if it should fail. Avoid all that by hiring a pro and have the peace of mind you’re getting exactly what you paid for.